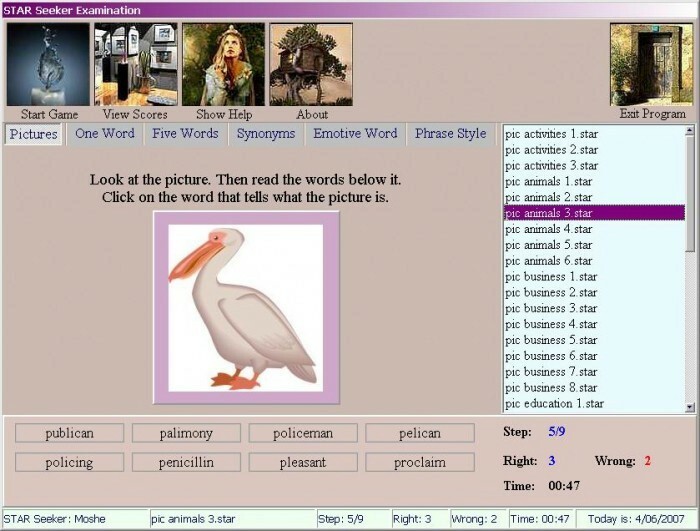 English language perfecting game for 7 to 12 years old students. The game is based on STAR exam issued to primary and intermediate school students in New Zealand. The examination tests students? vocabulary, spelling, and the progress in the English Language comprehension. Even though the main purpose of the examination is to test the students who are native speakers of English, it may also be used for learning purposes. This also applies to those who are willing to learn English as their second language.